One of India's richest men is losing heavily in the country's cutthroat telecom price war. Reliance Communications, the mobile service provider owned by billionaire Anil Ambani, saw its stock price crash by more than 20% on Monday to its lowest level in nearly a year. The sudden stock plunge followed a report by the Economic Times newspaper that the firm, which has borrowed $6.5 billion, had missed loan payments to at least 10 banks. "We are in the process of talking to all our lenders," a Reliance Communications spokesperson told CNNMoney, adding that the company plans to repay its creditors $3.9 billion by the end of September. The company reported annual losses of $200 million on Saturday, down from a profit of $100 million the previous year. To make the debt repayments, it is planning to raise $1.7 billion by selling 51% of its cellular tower business to Canada's Brookfield Infrastructure. The remaining $2.2 billion will come from Reliance Communication's merger with smaller rival Aircel. Both deals were announced last year and are awaiting final approval from regulators. Monday's market debacle is the latest blow in what has been a year to forget for Reliance Communications. The firm's stock price has fallen nearly 60% in 12 months, and 40% in the last month alone. It's not the only Indian telecom player that's struggling. Vodafone (VOD) decided to merge its Indian operations with local rival Idea Cellular in March after billions in losses. That could create a market leading network with more subscribers than the population of the U.S.
Current industry leader Bharti Airtel acquired the Indian arm of Norway's Telenor (TELNF) in February. They're all battling the same adversary -- Ambani's older brother Mukesh, who is also India's wealthiest man. The siblings divided up the Reliance empire their father created after a bitter succession battle following his death in 2002. 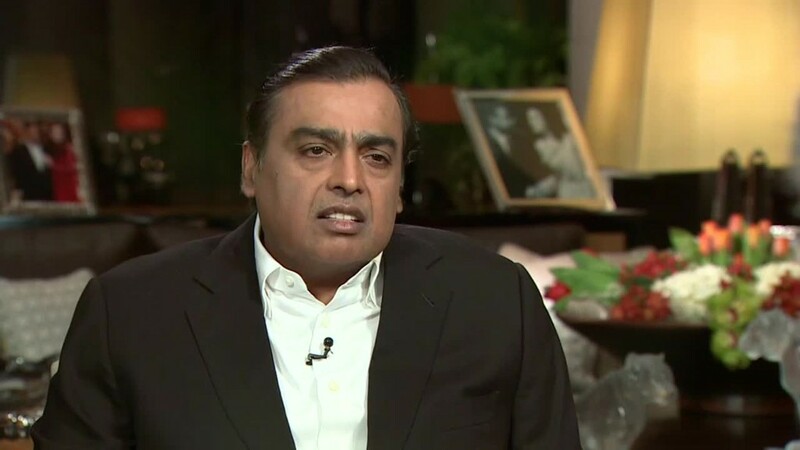 Mukesh Ambani has bankrolled Reliance Jio, the newest entrant in India's telecom industry that burst onto the scene last September offering free 4G internet for six months. The blockbuster offer saw it rack up more than 100 million subscribers during that period. Already struggling with mountains of debt, the existing players responded by slashing their own prices to try and compete. Reliance Communications took a veiled swipe at Jio in its earnings report, saying "free offers, disruptive pricing and hypercompetition" were to blame for the ongoing "crisis" in the sector. "The telecom sector in India has been very adversely impacted during the [past] financial year by competitive intensity on a scale never witnessed before," the company added.